About us - Incom Group S.A.
We are a leader in the distribution of the world’s top manufacturers such as Microsoft, Seagate, Western Digital, ASUS, LG, Toshiba, Philips, Acer, AOC, MSI, Silicon Power, GoodRam, Gigabyte, AsRock, Ricoh, Genius, Ubisoft, Cenega and CD Projekt. We offer a wide range of products, including: Intel, AMD, HP, Canon, Brother, Epson, Kyocera, Xerox, Lenovo, Dell, Samsung, Creative, Eset, Ever, Hama and Modecom. We make sure our product range is vast and attractive, cooperating with over 700 different suppliers of operating systems, computer software, laptops, mobile devices, smartphones, network solutions, PCs, computer components, computer accessories, household appliances, audio and video devices, printing devices, multi-function printers, consumables, interactive whiteboards and many other items representing almost all areas of new technology, virtualization and intelligent solutions. With 25 years of experience, Incom has managed to obtain extensive knowledge and remarkable skills, allowing us to be among the leading companies on the market. We stand out with our great flexibility, dynamics in action and innovative approach, enabling us to create trends and impact not only the domestic technology market. We believe that our company’s success is possible only when our Partners are successful. That is why we keep investing in the development and optimization of our services and product lines. We share our expertise and provide a wide range of activities that support your business. To respond to the fast-changing needs of international markets, we expand our operations by diversifying our product range and building long-term relations with more and more foreign Partners. Our headquarters is located in a modern office complex with an area of 22,000 sq. m.
Over the years, we have been able to maintain the highest level of services, with our high bay warehouses and state-of-the-art completion lines, allowing us to deliver millions of parcels every year. Our excellent location in Central Europe makes us a perfect bridge between western and eastern parts of the continent. We have gained extensive experience in delivering large projects. Many institutional clients have trusted us, including the Ministry of Education, the Social Insurance Institution and the Polish Post Poczta Polska, which we have provided with over 140,000 ADAX computers with the on-site next business day service. Among our greatest values are our utmost care of the highest quality of all products and services delivered, complete safety of cooperation with our trading Partners and environmental protection. 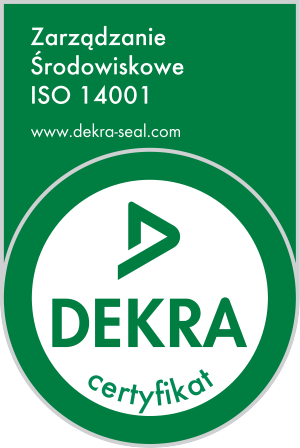 The efforts which we continue to put to meet the highest quality standards have been confirmed, among others, by a number of certificates, including ISO 9001:2008 Quality Management, ISO 27001:2013 Information Security Management and ISO 14001:2004 Environmental Management. 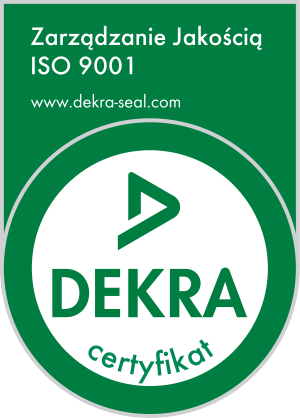 Each year, DEKRA verifies and confirms if Incom meets these standards. At Incom, quality management is not only about checking the quality of our products and services. We regularly train our staff, enhancing their competencies and skills to be able to effectively fulfill their tasks and make sure our Clients may enjoy fully professional customer service. We achieve our business objectives and set new goals. We collect feedback from our Partners to identify areas for improvement. Knowing that people are our greatest asset, we keep improving our infrastructure, to create a friendly work environment. Caring about the natural environment is extremely important for us. Therefore, we not only comply with all applicable provisions of environmental law, but also carefully analyze the company’s environmental impact and based on such assessment we set our goals and define our tasks, which is reflected at all stages of the company’s operations. We reduce our gas and fuel emissions and consumption of utilities. We sort waste and re-use cardboard and plastic boxes using special processing machines. We minimize our paper and ink consumption levels, control the process of electronic waste disposal and increase the environmental awareness among our employees. For your convenience, we provide modern on-line electronic waste recycling tools.